When I visited Donald Sidney-Fryer for the first time in 2013, his friend Rah Hoffman had just passed and Don was in the process of moving. 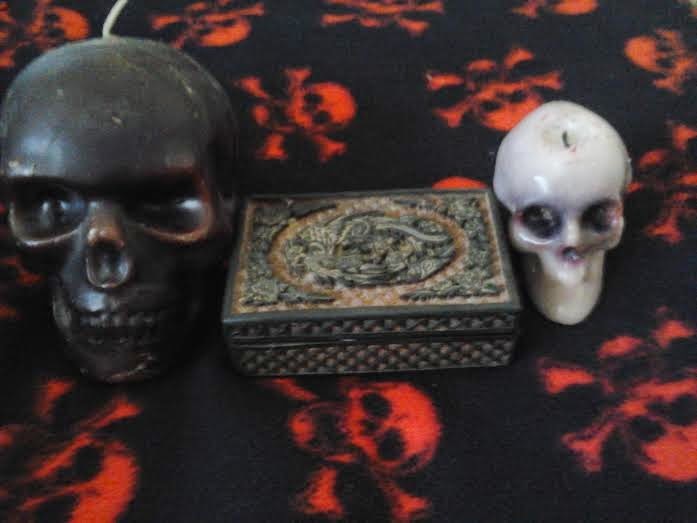 He gifted me these 2 skull candles and this box when he learned my interest in them and he seemed relieved to get them off his hands. 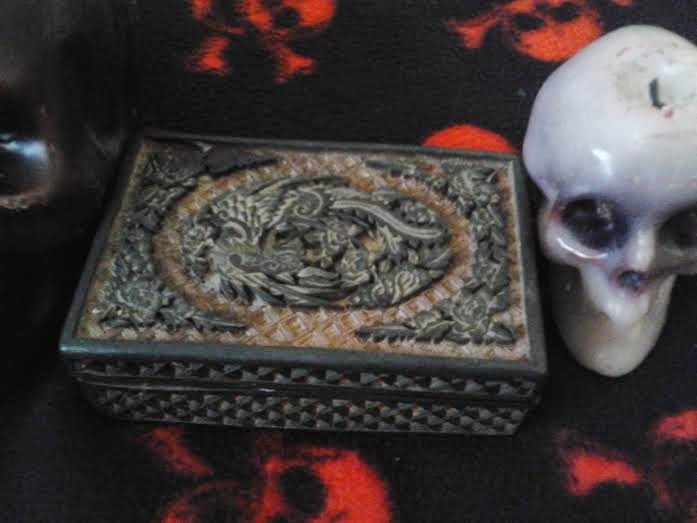 The box is beautiful even with the dust. It is supposed to be green and red.